June 5 was just a preview, now Oppo is unveiling the R11 and R11 Plus in earnest. We already saw the R11, so let’s focus on the Plus model now. Not that there’s much difference between the two. 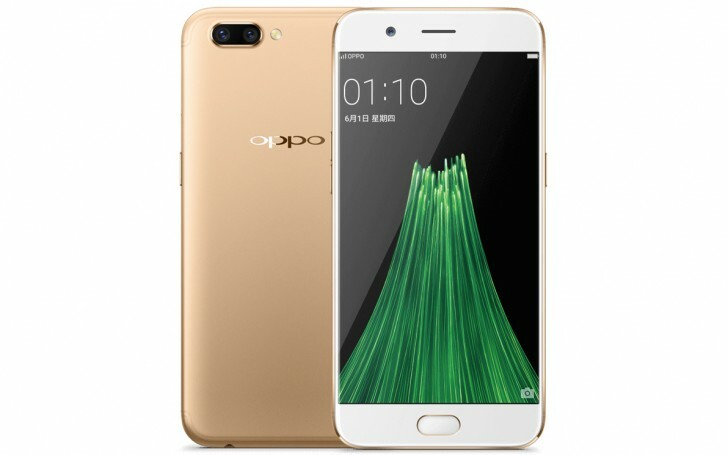 The Oppo R11 Plus boasts a 6” display - an AMOLED panel with 1080p resolution - and a large 4,000mAh battery (complete with VOOC Flash charging). This dwarfs the 5.5” screen and 3,000mAh (still VOOC-supporting) battery of the regular R11. Anyway, the dual camera is where it gets fun. A 16MP sensor behind a bright f/1.7 aperture is the backbone of the system, aided by a telephoto (2x magnification) 20MP camera (f/2.6). They use Sony IMX398 and IMX350 sensors respectively. These two cams, together with the Qualcomm ISP offer bokeh and portrait modes. And you can record 4K video with either of the back cameras - wide-angle and telephoto. On the front is a capable 20MP selfie camera (f/2.0) that also supports bokeh effect. All of this is wrapped up in a metal unibody (Oppo is a fan of this design) with concealed antenna lines. The handset measures 7.8mm thick and weighs 188g, not bad at all, given its size. We should get launch date and pricing info soon.